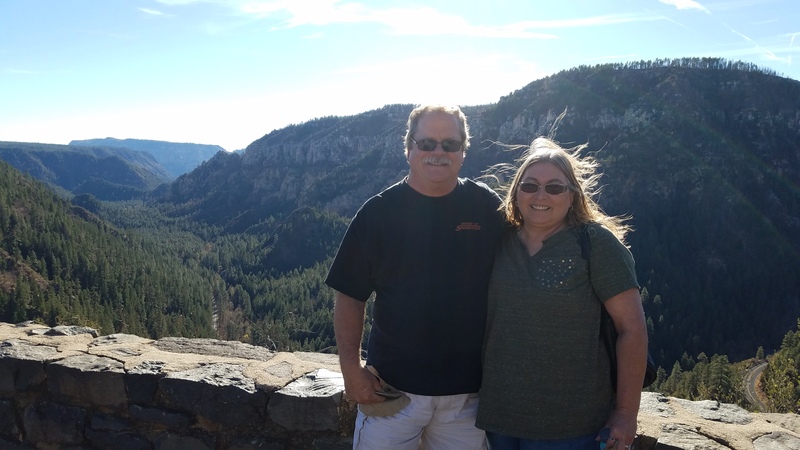 oak creek canyon anniviversary – RV Cheaper! 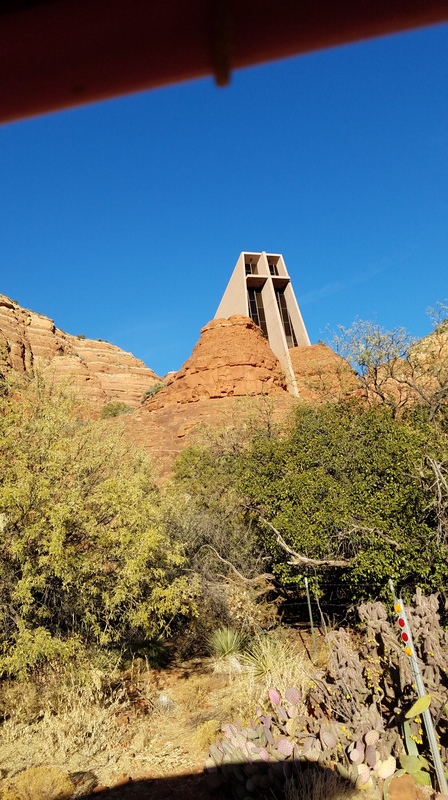 I surprised Alice with a trip to Oak Creek Canyon and Sedona for our 41st Anniversary. I didn’t tell her where we were going until we passed Phoenix and were headed up Interstate 17. 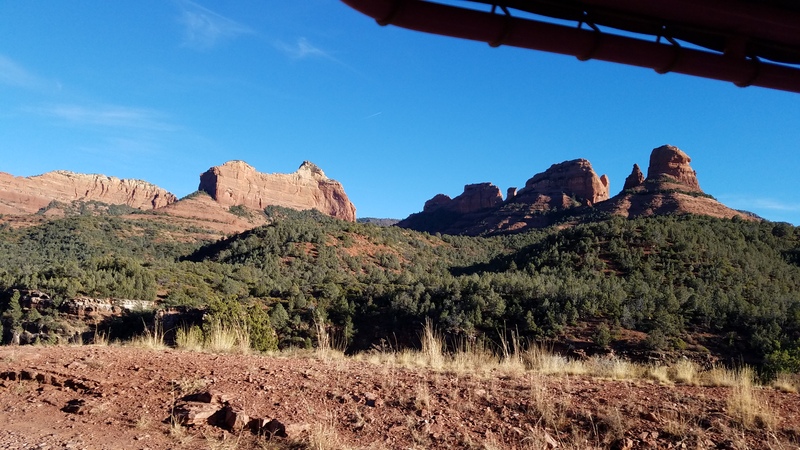 We got a bit of a late start but got checked in and did a quick Jeep Tour up Oak Creek Canyon and the outskirts of Sedona. We’ll do Sedona tomorrow, today was just a day to make final plans. At the scenic overlook at the edge of the Mogollon Rim on highway 89A (pronounced Muggy-On Rim). 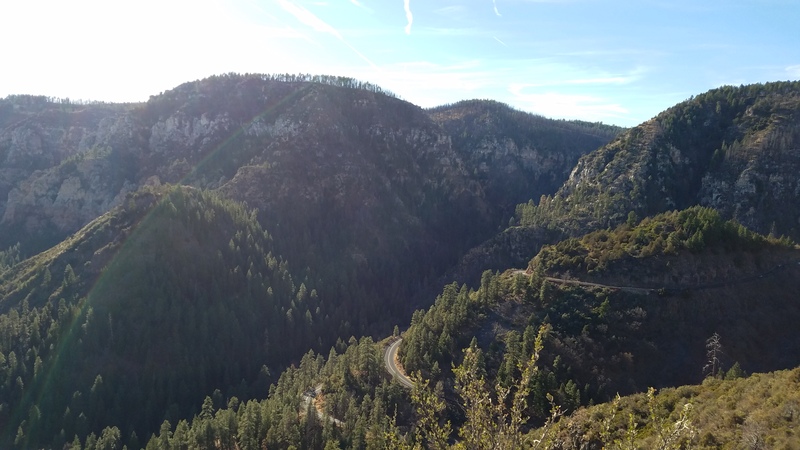 The road below are the switchbacks coming up to the overlook and 89A goes all the way to Flagstaff. Looking down the canyon toward the village of Oak Creek and Sedona farther in the distance. Always a beautiful area to visit. Thanks for the correct way to say “Muggy-on Rim”. I was close LOL. I like the look of the blog … nice job!